Strong A.R.M. 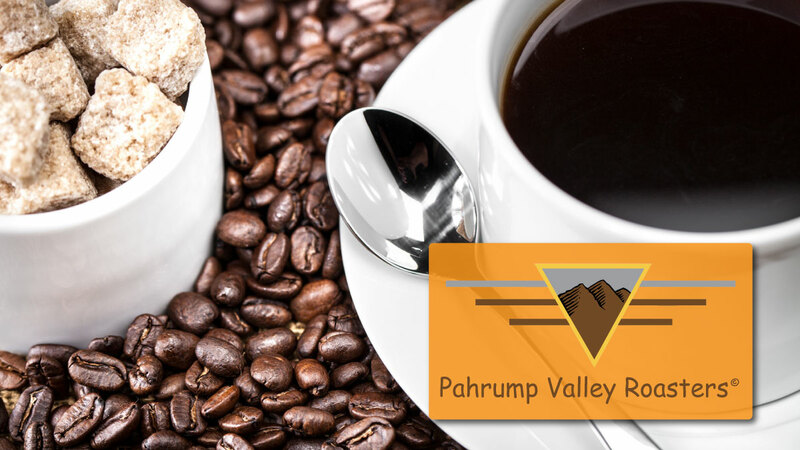 Foundation has teamed up with Pahrump Valley Roasters! Purchase coffee and tea from our local family owned and operated coffee roasters and they will donate $4.00 of the profit to help keep our youths funded. Support your local non profit and small business owners while enjoying fresh roasted coffee, highest quality loose leaf teas at market price! Go to www.coffeeandteafundraiser.com. Use coupon code "strongarmdd" to have it delivered to your house directly. Use coupon code "strongarmpk" to pick up at their store. Strong A.R.M. Foundation would like to celebrate The Equity Group of Las Vegas for their generous donation and support for our at-risk, low income women and children. Thank you Equity Group of Las Vegas! For over 35 years, The Equity Group is a leader in the Las Vegas commercial real estate and property management industry that takes pride in developing relationships with our clients and assisting with their “vision” through our full range of services. We work to achieve the highest and best results for our clients through the entire real estate process from start to finish. 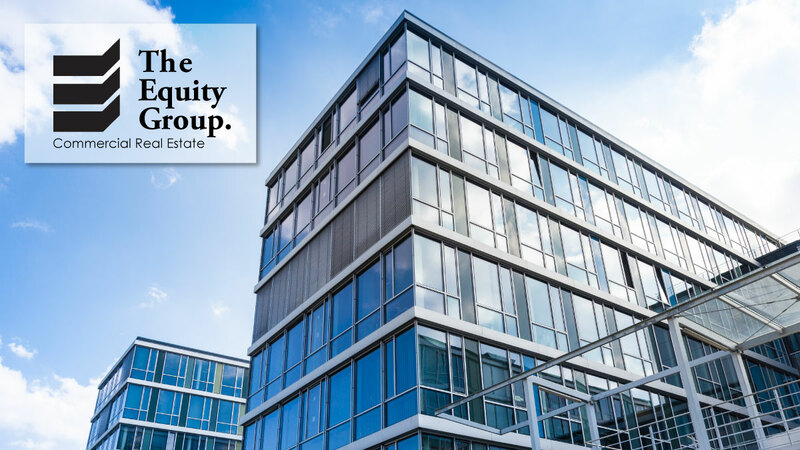 Brokers at The Equity Group understand that each deal is as unique and distinctive as the commercial real estate market and we understand that each transaction must include the right combination of real estate requirements and team dedication to attract the right clientele. We help identify the right strategy and market approach to suit our client’s specific needs through a comprehensive array of services including marketing, design, demographics, and market research for leasing and selling properties in the Las Vegas valley. Our seasoned and motivated sales and leasing team offer a wide range of commercial real estate brokerage services to institutional and private investors, property owners, sellers and tenants on a local, regional and national level. Our professional excellence, integrity and proven track record in Las Vegas is what sets us apart as a top-ranking commercial real estate provider. Strong A.R.M. Foundation is proud to announce our partnership with the Richard Steele Foundation. The Richard Steele Foundation works with underserved youths in Southern Nevada through mentoring, boxing training, and education. 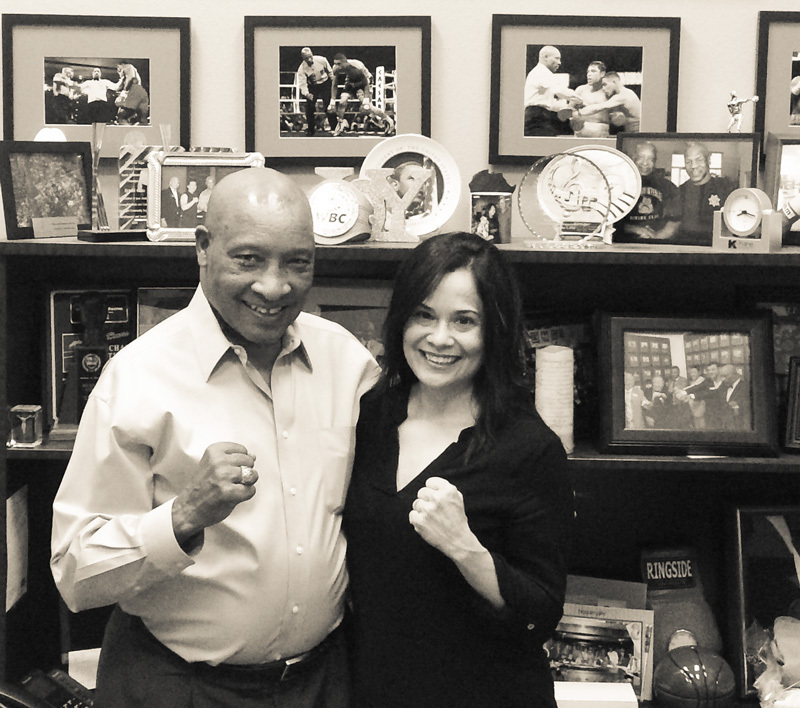 Hall of Fame Boxing Referee Richard Steele, has been a leader and mentor in the Las Vegas community for thirty years. This partnership holds special meaning for Strong A.R.M.’s founder, Sophia Smith. Smith grew up in the boxing family, sparring, hitting the bag, attending amateur and professional fights. Boxing is a passion which builds character, teaches leadership, and respect. We are excited for this opportunity and through our partnership with Richard Steele, we intend to make an even bigger impact on the community in 2017. Strong A.R.M. Foundation will sponsor youths who wish to participate in boxing, but who might otherwise not be able to financially afford to do so. 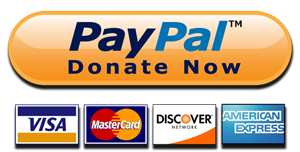 Please donate today to support our 2017 mission of helping 500 women and children in the Las Vegas community achieve greatness! The cost of youth sports for Ivy Fines’ 5- and 8-year-old sons added up quickly. It was between $100 and $180 for football registration, $60 for shoes and $160 for a helmet and padding. But growing up watching their older brother — who is now in high school — play football, they, too, wanted to be involved. “It was going to break my heart if they couldn’t play,” Fines added. Then she learned about the Strong Arts, Recreation and Multicultural (ARM) Foundation — started by Henderson resident Sophia Smith to provide financial assistance for children who want to enroll in sports or other extracurricular activities. The nonprofit potentially will cover all fees. The organization paid the costs for both her children. Smith started the organization after seeing the need in her family. Her sister, a single parent of four, got her son involved with sports as an alternative to constantly playing video games. “It made a difference in his life,” Smith said. The family planned to enroll him in a high school wrestling program, but the cost was too steep. “It was a $300 fee that they couldn’t afford,” Smith said. Sports played a vital role in their family when they were growing up. With that in mind, she created the foundation. It started with covering registration fees. The organization has covered other expenses such as sports gear and opportunities such as music and dance. Fines, a Southwest resident who said she heard about Strong ARM from a coach with 702 49ers, said that previously, not all her children would be able to play at the same time. This helps with some of the financial burden and gives her a chance to put both kids into sports. To qualify for the foundation, families need to be on government assistance, be in the military or have a high debt-to-income ratio. Tricia Pringle has triplets — three teenage boys — who have played sports since they were 5. When her son approached this football season, she faced the reality that she might not have the money for registration and the uniform, which cost about $350 combined. Someone from her son’s football team, the Las Vegas Aces, referred the family to Smith. Families from all over the valley can apply for a financial assistance. Smith said the nonprofit is funded through private donors. She also has started selling items such as Strong ARM Foundation bracelets. 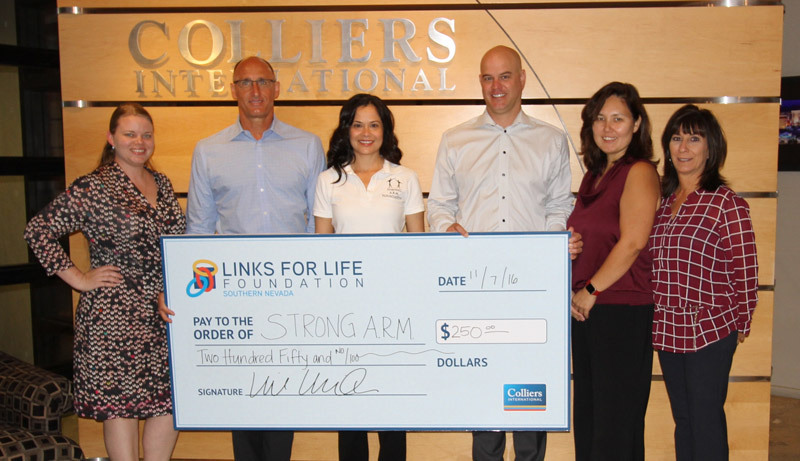 We would like to celebrate Colliers International of Las Vegas for supporting Strong ARM Foundation. This past week, through their Links for Life Foundation, we accepted a generous gift that will directly impact the families in our community. Since 1995, the Links for Life Foundation has been dedicated to be a link of hope in the lives of disadvantaged children. Over the past 22 years the organization has donated more than 2.3 million to local children’s charities. Strong ARM Foundation appreciates and accepts this gift, which will contribute to our goal of funding Arts, Recreational, and Multicultural activities for women and children in Las Vegas. Thank you for your support Colliers International and Links for Life Foundation! 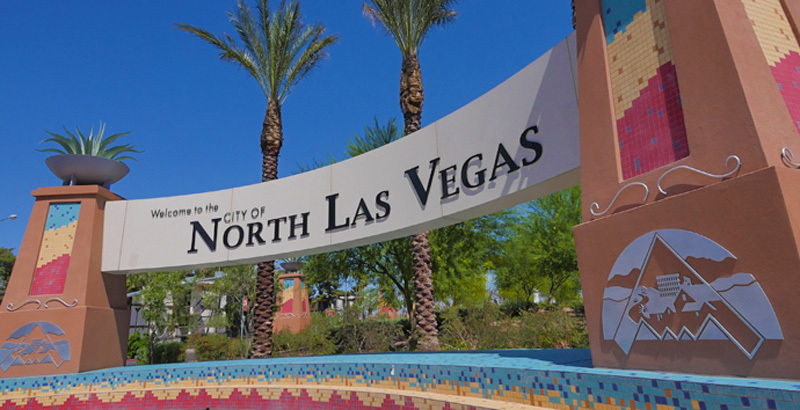 Through our partnership with the City of North Las Vegas, we are creating platforms for youths in our community and at risk women to engage in peaceful, positive activities. In turn, breaking down barriers and building trust via sports, arts, dance and fun! Sam Lybarger joins Strong A.R.M. Foundation with over 40 year of management experience in the safety industry. Sam’s extensive background includes achievements in leading, developing and motivating others. He has years of experience in training and development, establishing teams and exceeding goals. Sam holds a Bachelor of Science in physical/safety education from the University of New Mexico and a Masters of Education from UNLV. 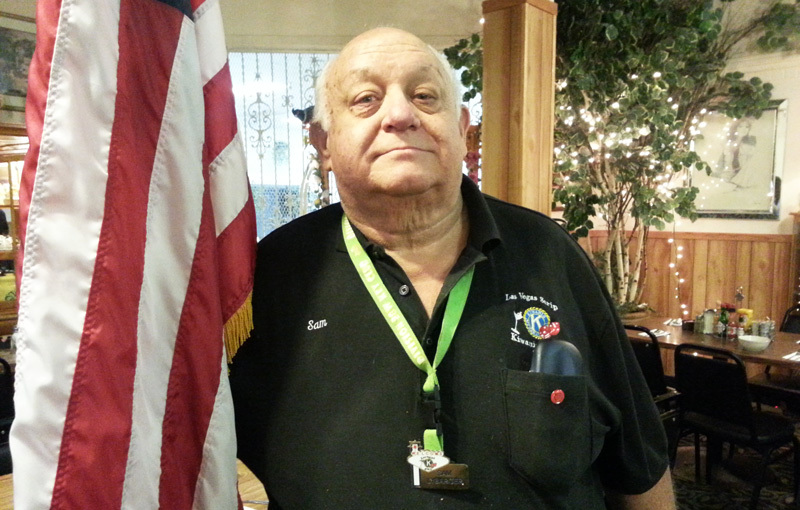 Sam has multiple awards and honors from the Kiwanis, the American Society of Safety Engineers and is an Eagle Scout. In addition to being an Eagle Scout, as a child and young adult, Sam's participation in sports gave him a chance to reach goals, instilled discipline and was a way to express himself in a positive manner. Sports paved the way for Sam to play college football at the University of New Mexico and outside of work Sam managed recreational swimming pool for the City of Albuquerque. Sam's experience in after-school activities as a youth helped give him the tools he needed to be a successful adult. He knows that when children are active, they have purpose and they are given the tools to build their social skills. This is why Sam is so passionate about the Strong A.R.M. Foundation goal and mission. We are so honored to have Sam’s expertise and partnership. Sam is a very compassionate leader and wants to do what he can to help the kids in our community. "Shoot for the moon. Even if you miss you'll land among the Stars"
Strong A.R.M. Foundation has partnered with our friends at The Boys & Girls Club of Southern Nevada ...just in time for their Summer Camp! Please do not let financial burdens stop your child from joining. Low income, high debt to income ratio or Military? Please contact us, we are here to help. Strong A.R.M. Foundation has been accepted into the Non-Profit, Community and Leadership Initiative program at UNLV. Strong A.R.M. Foundation has been accepted into the Non-Profit, Community, and Leadership Initiative (NCLI) program at UNLV. For the next 90 days Strong A.R.M. will have the opportunity to learn from and partner with non-profit leaders in our community. Strong A.R.M. Foundation provides financial assistance to families of children who cannot afford to pay for arts, recreational, and multicultural activities. Studies show that children who participate in extracurricular activities live healthier, more enriched lives. They stay out of trouble, become part of a team, build leadership skills, and have a better chance at becoming productive members of the community. Strong A.R.M. has a goal of helping 100 children in the Las Vegas area in 2016. The NCLI Accelerator will play a major role in Strong A.R.M. Foundation development and progress this year. The Accelerator brings small and medium-sized nonprofits together, surrounded by knowledge and expertise. This space creates opportunities to share ideas and best practices. Acceptance in to this program will ensure that Strong A.R.M. Foundation reaches as many children in the community as possible. We are well on our way and look forward to a successful 2016. We are excited to have Jon Redd join the Strong A.R.M. Foundation as we know he will be a key contributor to Strong A.R.M.’s future success. Jon has been married for 18 years and he and his wife share 4 kids, ages ranging from 15, 12 (twins), and 7 years old. All of his children participate in organized sports and Jon has seen first-hand the positive impact that this has had on each of his children. He is very passionate about being able to help the at-risk kids improve their lives by having activities that provide them with some positive structure while being challenged to better themselves. Jon earned his MBA from Brigham Young University where he graduated in the top of his class. This program had special emphasis on Marketing, Finance, and Business Ethics/Values. He received a Bachelor of Science in Psychology from the University of Utah where he graduated with honors. During his undergraduate he attended a program through the Graduate School of Social work and earned an Alcohol and Drug Abuse Treatment Training Certificate. With this wide breadth of education Jon will be a resource to the foundation on multiple fronts. In Jon’s professional life he has worked in multiple industries which include Finance, Pharmaceuticals, Medical Devices, Medical Imaging Equipment and most recently Technology with a SaaS company. Jon has also held a wide range of roles and positions starting in service and support, but was moved quickly to sales and management where he enjoyed multiple years of consistent success. During Jon’s career he has worked with several large organizations where he was responsible to negotiate contracts, manage teams at each level within an organization, increase a customer’s overall financial relationship and most importantly he was responsible for the customer's overall satisfaction. With this diverse range of experience we are excited to have Jon on our team and we look forward to growing the foundation and better serving our community. Sophia Smith watched as life threw a curveball at her teenage nephew while he was getting in shape to participate in a youth sports program. D-Angelo, son of Smith's sister Elala Frank, had begun working out with a friend in preparation for a wrestling program he aspired to join. Then his family found out it was too cost-prohibitive, so D-Angelo resumed his sedentary lifestyle. "He went back to sitting around, playing video games," said Smith, who said she played on teams free at the schools she attended and also on the streets in her neighborhood during the off-season. "It got me so mad because I grew up playing sports. It wasn't something that my family needed a budget for." The incident inspired her to start a nonprofit called the Strong A.R.M. Foundation about two years ago to help underprivileged youths in the valley in kindergarten through age 18 take part in sports, cheerleading, and arts and cultural programs. "We'll cover the cost of the sports and try to cover the uniform charges," Smith said. Prospective recipients must fill out an application and provide documentation to prove financial hardship, such as unemployment, taking part in reduced lunch programs or receiving federal assistance. Tamicka Corbin, a single mom, said she was happy to learn about the foundation from a co-worker because it helped her four children play tackle football through National Youth Sports-Nevada, 1201 American Pacific Drive, Suite H, which offers football, soccer, volleyball, cheerleading and baseball programs. "Without their assistance, I wouldn't be able to pay for all four of them to be able to play," she said. "I was really debating if I wanted them to be able to play or not." Corbin said the foundation covered the registration costs, and she worked out a payment plan with National Youth Sports-Nevada to pay for the uniforms. Her children Bradley Johnson, 11; Crystal Johnson, 9, and Vraylen Johnson, 8, have since finished the season, but Breonn Johnson, 6, was slated to take part in a championship football game Nov. 20 at Ed Fountain Park, 1400 N. Decatur Blvd. If sponsored, youths and their families must take part in activities to raise funds for the foundation. "We make them responsible," Smith said. "We do fundraising things with them. It's not like, 'Oh, I'm getting free football.' "
Smith said to get the word out about her organization, she has been meeting with area businesses and organizations. She also has been working with Street Teens, 5599 S. Pecos Road, a nonprofit that helps homeless and at-risk youths, and has started a partnership with National Youth Sports-Nevada. "We're probably one of the cheaper leagues in town," said Justin Phelps, vice president of National Youth Sports-Nevada. Still, he said sometimes families cannot afford the organization's programs, and in those instances, he refers them to the Strong A.R.M. Foundation. Smith's foundation helped 13 youths take part in sports programs last season. "This season coming up, my dream would be to sponsor 50 kids," she said. Participation in sports is crucial to youths because it helps them stay fit and teaches them social and life skills, Smith said. "I think it's so important for kids to know how to win gracefully and have the perseverance and the tenacity of how to deal with a loss," she added. BUNKERS SCORES BIG FOR KIDS! Nathan Stiffler, Managing Partner of Bunkers Mortuaries, Cemeteries and Crematory in Las Vegas (Carriage Services CSV), “hands off” a six-hundred-and-twenty-five dollar ($625.00) check to Sophia Smith of Strong A.R.M Foundation to sponsor underprivileged children in the National Youth Sports Nevada Program. With school budgets being cut, sports programs are no longer funded by the schools. The cost of coaching, field time and equipment is passed onto the families of their high school athletes, which amounts to hundreds of dollars per student, per sport. “Many children and young people within the community we serve have enough struggles”, stated Nathan Stiffler. “Bunkers is a part of this community, and assisting young people by supporting a positive sports experience is something we are proud to help underwrite”. For an interview with Nathan Stiffler, please contact Ella at: ella.senninger@carriageservices.com or call 702-629-9607. Strong A.R.M. Foundation is the first of its kind in the City of Henderson to offer assistance to families for their children based on a debt to income ratio. Let them express their passions and cultivate the talents through ballet, yoga, soccer, karate, basketball, football, music, tennis, swimming, dance, hula, softball, band, kickball, jogging, track, cheerleading, wrestling, debate, drawing, acting, drama, boxing, arts, cooking, yoga, hip hop and all other forms of positive expression. Strong ARM Foundation helps families by covering enrollment fees, uniform costs and other fees associated with participating in their event. Strong A.R.M. Foundation is taking hardship applications for children and teenagers that have a desire to participate in arts, recreational and multicultural events in the city of Henderson, NV or other established Conservatories or other Arts Facilities. City of Henderson's Youth Basketball Leagues are coming up! !